The top seed, Kanak Jha from the United States duly endorsed his exalted position, to win the Boys’ Singles title at the 2017 Argentina Junior Open in Buenos Aires on Monday 19th June. 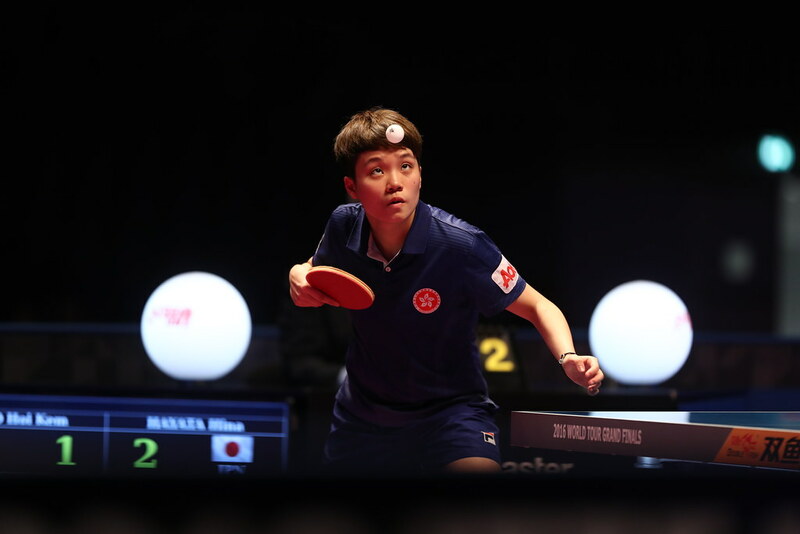 A cause for celebration, it was a cause for a double celebration; not only was it his first such title on the ITTF World Junior Circuit, it was his 17th birthday. Throughout Kanak Jha was never extended the full distance, the players to provide the greatest resistance being his compatriot, Sharon Alguetti and the host nation’s in-form Santiago Lorenzo. After overcoming the Dominican Republic’s Mariano Lockward, the no.15 seed (11-6, 11-5, 12-10, 11-5), Kanak Jha had to recover from an opening game deficit to beat Santiago Lorenzo, the no.20 seed (15-17, 11-4, 11-2, 11-6, 11-9). Impressively, the previous day, the 15 year old Argentine had overcome Chile’s Nicolas Burgos, the no.9 seed (11-5, 11-13, 11-6, 11-9, 9-11, 10-12, 11-9), before on the second day of action ousting Brazil’s Eduardo Tomoike, the no.13 seed (11-8, 12-10, 11-5, 13-11). Eventually, Kanak Jha imposed his authority on proceedings; it was very much the same at the quarter-final stage, when he was required to recover from a two games to one deficit against compatriot Sharon Alguetti, the no.3 seed (11-5, 7-11, 9-11, 11-9, 11-6, 11-7). Some tense moments, not in the final; from the first point, Kanak Jha was totally focused, he beat Argentina’s Francisco Sanchi, the no.2 seed, in four straight games (11-6, 11-6, 11-7, 11-7) to repeat the success of their one previous meeting in a world ranking event. They met in the Boys’ Team event at the Sun International 2016 World Junior Championships in Cape Town; as today on that occasion Kanak Jha had won in straight games. In the latter rounds, Francisco Sanchi had beaten Peru’s Rodrigo Hidalgo, the no.16 seed (12-10, 11-5, 11-5, 11-7), Chile’s Andres Martinez, the no.9 seed (11-6, 11-1, 12-10, 11-4) and Victor Liu of the United States, the no.3 seed (11-13, 11-8, 6-11, 11-7, 11-2, 11-13, 11-7) on his journey to the final. Undoubtedly, a fine effort from the Argentine but spare a thought for the 18 year old; it is the fourth time this year that he has reached a Boys’ Singles final and has ended matters as the silver medallist. Earlier in the year on the ITTF World Junior Circuit, he was the runner up in Paraguay and Spain, whilst also experiencing the same fate at the South American Junior and Cadet Championships. Disappointment for Francisco Sanchi, celebration for Kanak Jha and perhaps he’ll share a slice of cake with Freddy Almendariz, the Competition Manager, for him it was also a milestone, it was his 30th birthday.